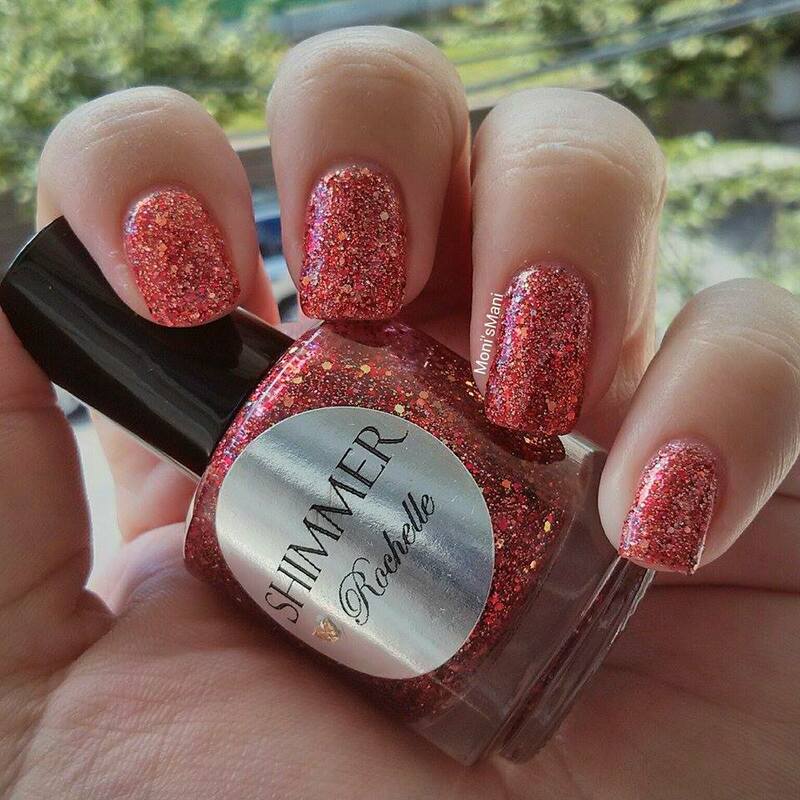 I am so happy to share my first review from the batch of polishes sent to me by Shimmer Polish. I have been a big fan of this brand for a while because I LOVE glitter and because I really like their bottles. Haha seems silly but they’re just so cute and what’s inside is even cuter! I posted this mani a couple of weeks ago but I haven’t been able to upload the review because I had major phone problems and lost the pics, I have been able to retrieve them by checking everywhere and of course, that took some time. I am very impressed with these polishes! 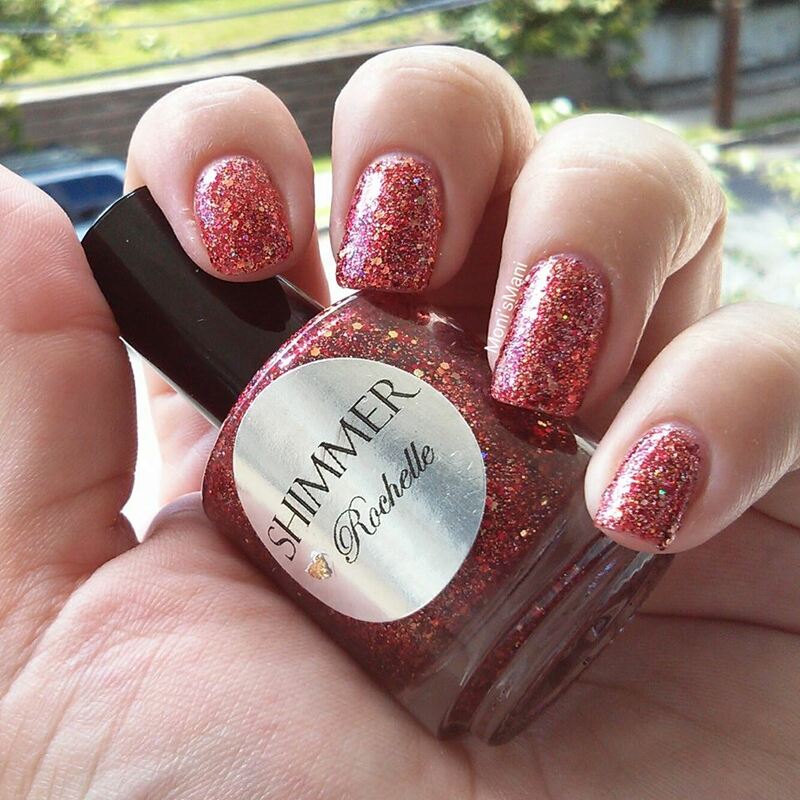 The diversity of glitter within each polish is wonderful! I didn’t think you could do so much with glitter but they have definitely taken glitter polishes to a whole new level. 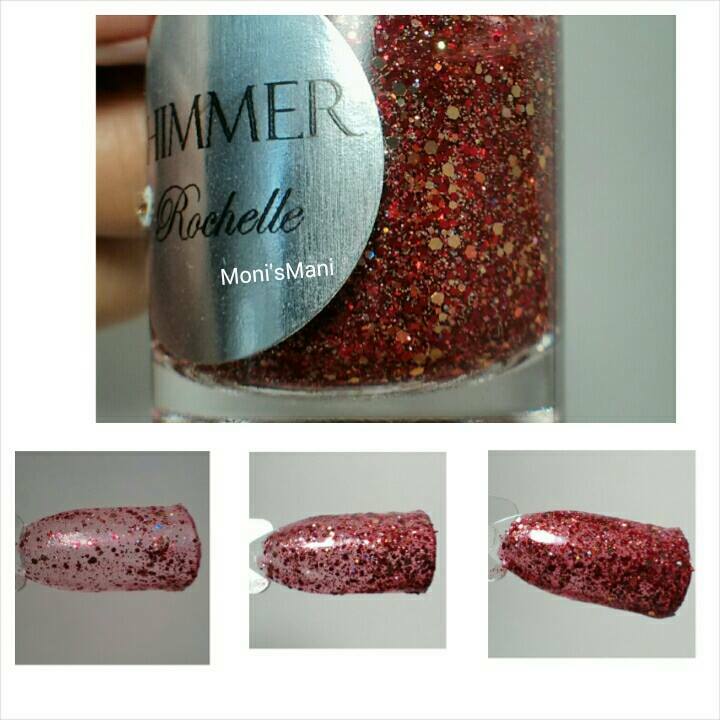 Rochelle was the first polish I tried, it’s a beautiful copper color polish made of gold, orange and red glitters. SO pretty! Here is a pic of the bottle, and one, two and three coats of it over a swatch stick. And here it is on my nails, I liked it so much I decided to leave it as is and not cover its beauty. Application is perfect and well, removal is as it’s to be expected for a glitter. But they are worth it! What do you think? I really liked it, hope you do to! Omg you should!! They are solo pretty! I’m telling you they take glitter polish to a whole new level!